The demand for Chinese visas has grown rapidly in recent years in Singapore. To provide a better service for visa applicants, the Embassy of the People’s Republic of China in the Republic of Singapore, following the success of the visa centres of other countries, decides to introduce the Chinese Visa Application Service Centre (CVASC). According to the unilateral decision made by the Chinese government, ordinary passport holders from Singapore can gain access to China without applying for visas for up to 15 days for business, sightseeing, visiting relatives and friends, or transit. 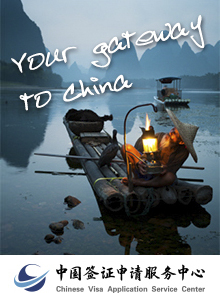 CVASC is responsible for accepting visa applications for visiting mainland China from ordinary passport holders who are Singapore citizens applying for visas for over 15 days for business, sightseeing, visiting relatives and friends, or transit, and citizens of other countries possessing Singapore permanent residence or work permits, collecting visa fees on behalf of the Chinese Embassy and returning passports.